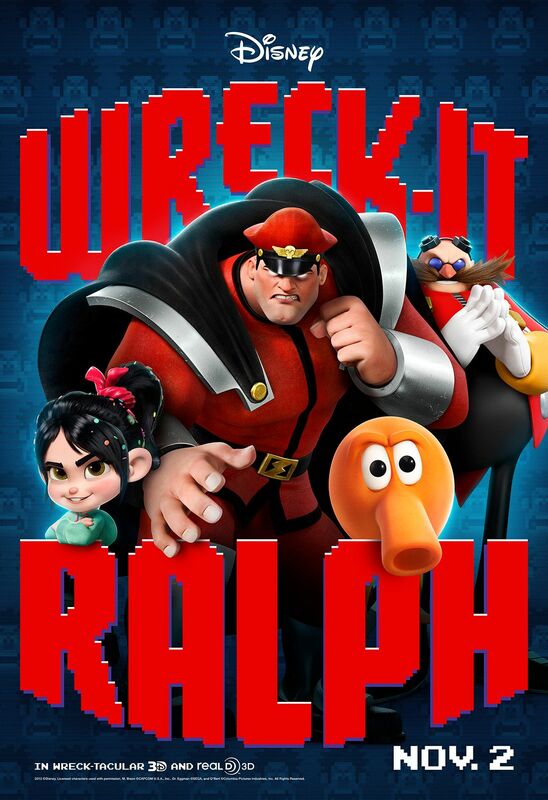 Judging by the new trailer, Wreck-It-Ralph looks like loads of fun, and that’s partially due to the cameos from famous video game characters. 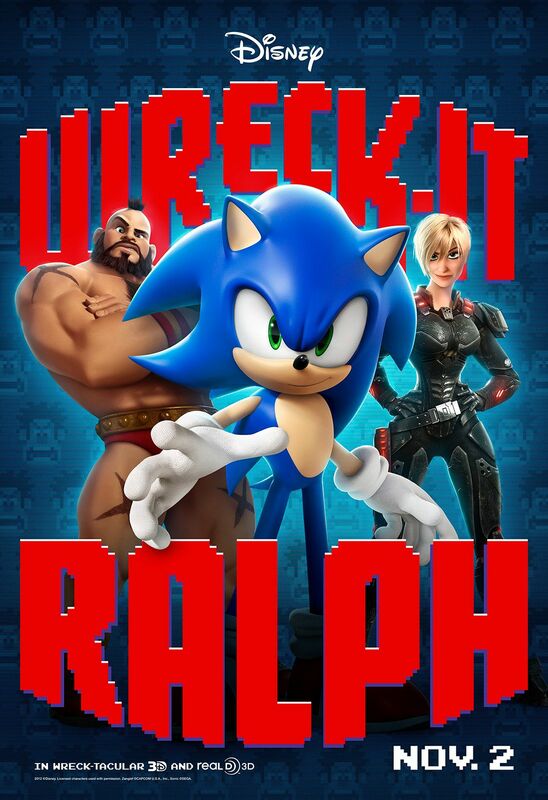 I’m a little surprised that old school gaming characters haven’t received more attention in mainstream films (although Nintendo is fiercely protective of its characters after Super Mario Bros., although Bowser is in Wreck-It-Ralph). Disney has released new posters that put the some of gaming’s most recognizable villains front-and-center by showing off Dr. Robotnik, M. Bison, Zangief, and Pokey (a.k.a “Clyde”), although heroes Sonic and Q-bert are also in the mix. There will be other cameos in the movie, and I look forward to trying to catch them all (no word on a Pokemon reference). Hit the jump to check out the posters. The film features the voices of John C. Reilly, Sarah Silverman, Jack McBrayer, and Jane Lynch. Wreck-It-Ralph opens in 3D on November 2nd. 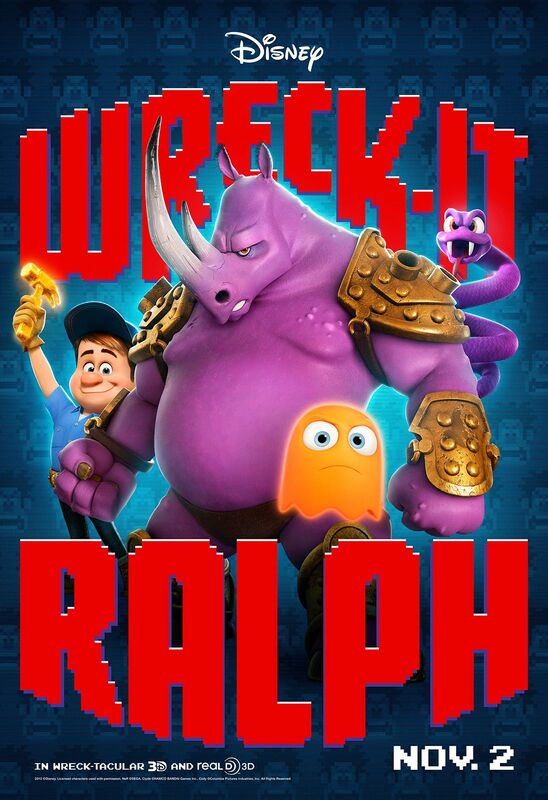 Walt Disney Animation Studios and Emmy(R)-winning director Rich Moore (TV’s “The Simpsons,” “Futurama”) take moviegoers on a hilarious, arcade-game-hopping journey in “Wreck-It Ralph.” Ralph (voice of John C. Reilly, “Talladega Nights: The Ballad of Ricky Bobby,” “Step Brothers”) is tired of being overshadowed by Fix-It Felix (voice of Jack McBrayer, “30 Rock”), the “good guy” star of their game who always gets to save the day. But after decades doing the same thing andseeing all the glory go to Felix, Ralph decides he’s tired of playing the role of a bad guy. He takes matters into his own massive hands and sets off on a game-hopping journey across the arcade through every generation of video games to prove he’s got what it takes to be a hero. On his quest, he meets the tough-as-nails Sergeant Calhoun (voice of Jane Lynch, TV’s “Glee”) from the first-person action game Hero’s Duty. But it’s the feisty misfit Vanellope von Schweetz (voice of Sarah Silverman, “The Sarah Silverman Program”) from the candy-coated cart racing game, Sugar Rush, whose world is threatened when Ralph accidentally unleashes a deadly enemy that threatens the entire arcade. Will Ralph realize his dream and save the day before it’s too late? 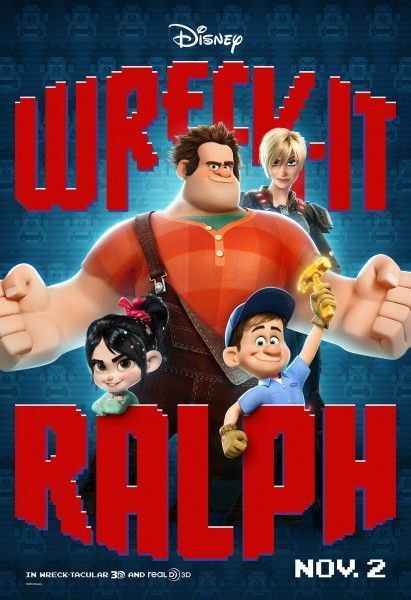 “Wreck-It Ralph” crashes onto the big screen on November 2, 2012, in Disney Digital 3D(TM) in select theaters.